Although we are finally enjoying a bit of sunshine, we have been doing some trend research over the last few weeks in anticipation of Christmas 2014. The research has sparked off a flurry of new ideas, as well as shaped some existing ones. Below are our favourite picks from the emerging trends that we wanted to share with you. Last year the Scandi or Nordic trend was very popular, incorporating the bold red and white colour scheme with Scandinavian motifs. 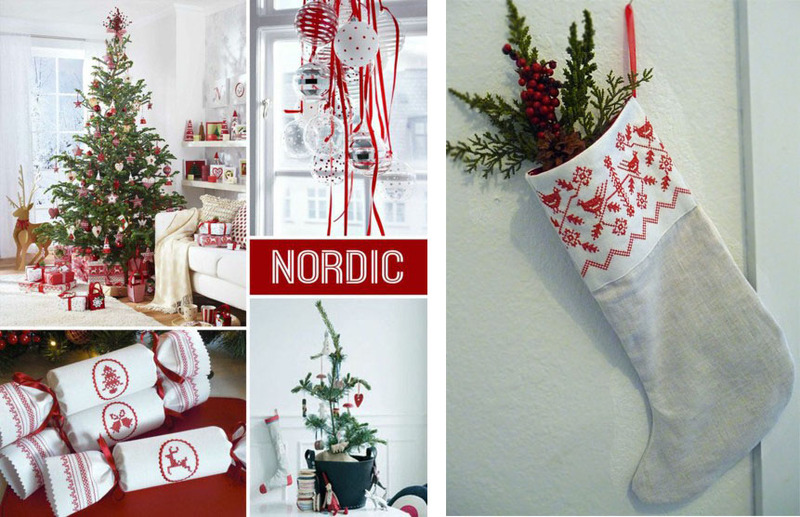 It seems that the trend will continue throughout this Christmas too, and we were very excited to see the image of our Reusable Christmas Crackers, used as part of a Nordic trend board on the decorazill.com interior decoration blog. Left: Our Scandi Reusable Christmas Crackers as part of the Nordic Trend Board, found on http://www.decorazilla.com interior design blog. Right: Nordic Christmas Stocking by Cherie Wheeler Designs on Etsy. You may have noticed that fox and owl imagery has been present in interior décor for quite some time now. 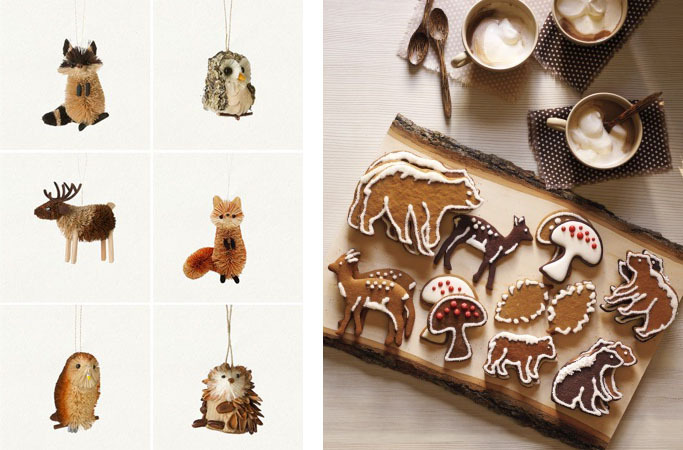 Well this Christmas you can fill your home with a whole menagerie of woodland critters. Deer, hedgehogs, racoons, robins, hares and squirrels can all be incorporated in this theme, and add to a fantasy, mystical feel for the home. Left: Woodland Creature Bottle Brush Christmas Decorations. Image from unruly-things.com via Pinterest. Right: Woodland Animals Biscuits. Image from Pinterest. Quirky and surprising additions to this trend are mushrooms. Not traditionally associated with Christmas, there has been an increase in the popularity of mushrooms to add a woodland statement to a festive room. Couple this with the familiar holly and ivy; branches of berries, nuts and wreaths mean the green foliage of the Christmas tree encompasses the whole room to create a magical forest scene. Left: Mushroom Christmas Decorations from Fairy Folk on Etsy. Right: Evergreen Christmas Garland with Pine Cones. Image from pinsofmandy.posterous.com via Pinterest. Decorations will be created in a range of natural materials including wood, burlap, linen, tree branches, brown paper and (faux) fur. As well as tying in nicely with the woodland and foliage themes, these natural colours are great as a base to add gold, silver and white accents to. Left: Lazer Cut Wooden Houses. Image from decorazilla.com via Pinterest. 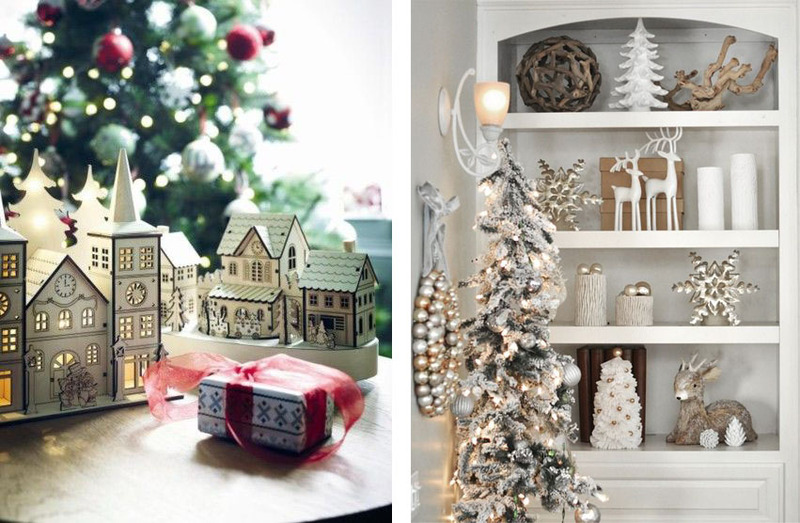 Right: Shelves Displaying a mix of Natural Christmas Ornaments with Touches of Gold and Silver. Image from centsationalgirl.com via Pinterest. As we hand make all our products, this trend is very close to our hearts. Especially at Christmas time when surrounded by friends and family who not only appreciate a handmade gift, but often give us handmade gifts too. Over the last few years this particular trend has become very popular, with individuals wanting to create personal pieces that make for a unique and cosy home. After all, with those long cold nights ahead of us, we may as well grab our knitting needles or sewing thread, and settle down in front of a lovely log fire to wile the hours away until Father Christmas arrives. Left: Cookie Mix in a Jar Christmas Gift. Image from emma-courtney.com via Pinterest. Right: Embroidered Heart Brooch Kit. Image from blog.maggiemakes.com via Pinterest. In the meantime we had better get busy creating some new products with all the fantastic inspiration we have collected. We look forward to sharing our new designs with you in time for the holidays! 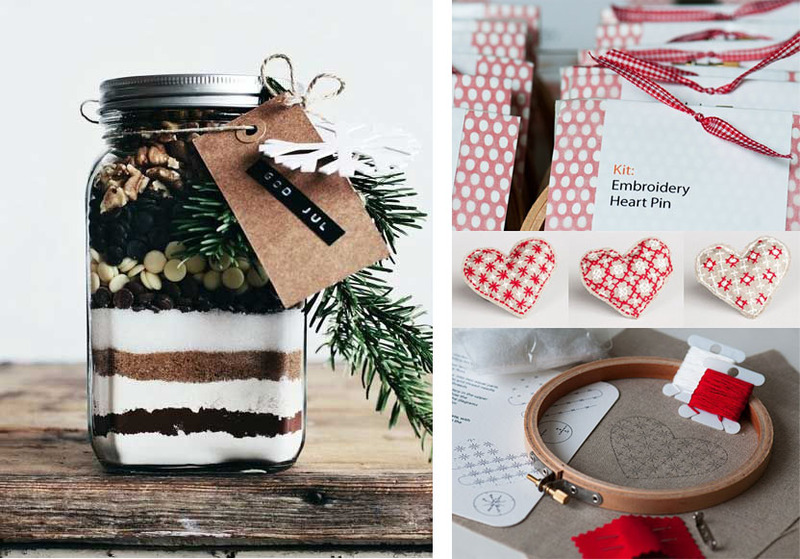 For more inspiration check out our ‘Red Work Christmas’ http://www.pinterest.com/katesproston/red-work-christmas/ and ‘Linen Christmas’ http://www.pinterest.com/katesproston/linen-christmas/ Pinterest boards. Categories: Inspiration | Tags: Burlap, Christmas, Christmas Animals, Christmas Decorations, Christmas Garlands, Christmas Tree, Christmas Trends, Christmas Trends 2014, Decorations, digital embroidery, embroidery, Garlands, Gifts, Handmade, Holidays, Natural Linen, Nordic, Scandi | Permalink. Welcome to the brand new Kate Sproston Design Blog. Through our posts we hope to give you a look behind the scenes of our company, designing and making embroidered gifts and home wares in the Midlands, UK. 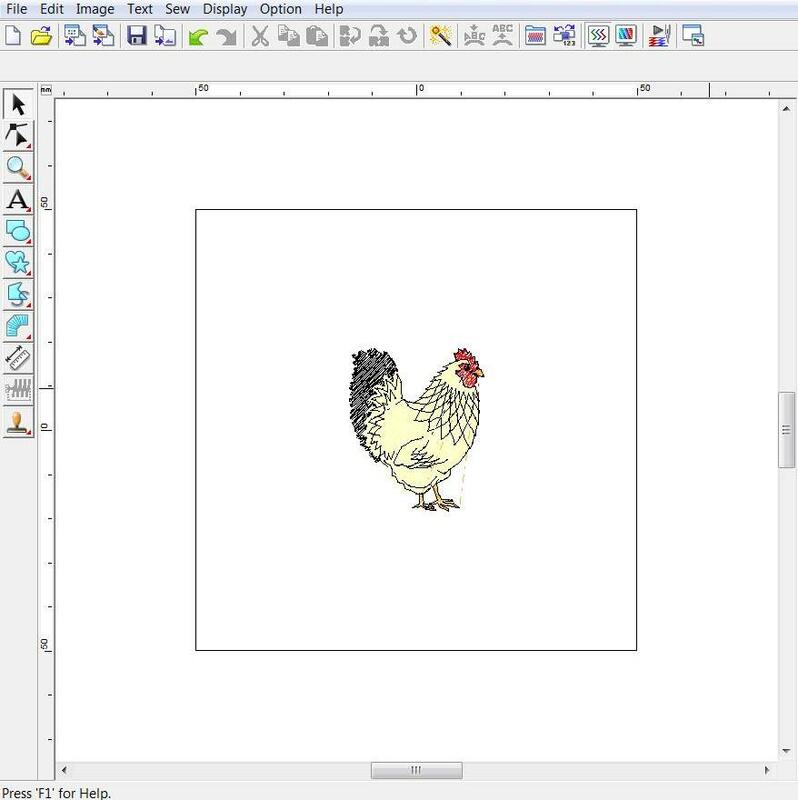 Ready to stitch cockerel image, created using digital embroidery program. Founded in 2012, we find inspiration in all forms of craft and traditional embroidery, but also enjoy illustration and picture books of all kinds. Each of our products is designed by Kate through a combination of scribbles, sketches and stitch, with the initial image then transferred to computer and recreated to be sewn using a digital embroidery machine. 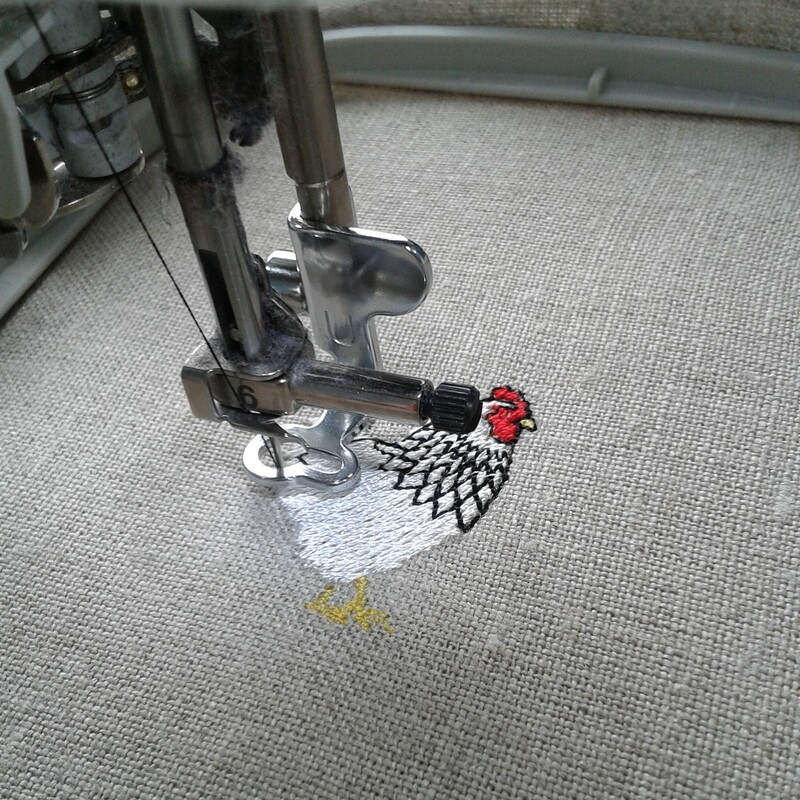 Cockerel being stitched using a digital embroidery machine. We hope you will enjoy a glimpse into our creative process and see a little bit of what makes us who we are. If you have any comments or questions about what we do or our products we would love to hear from you. Adding the finishing touches to our embroidered cockerel. 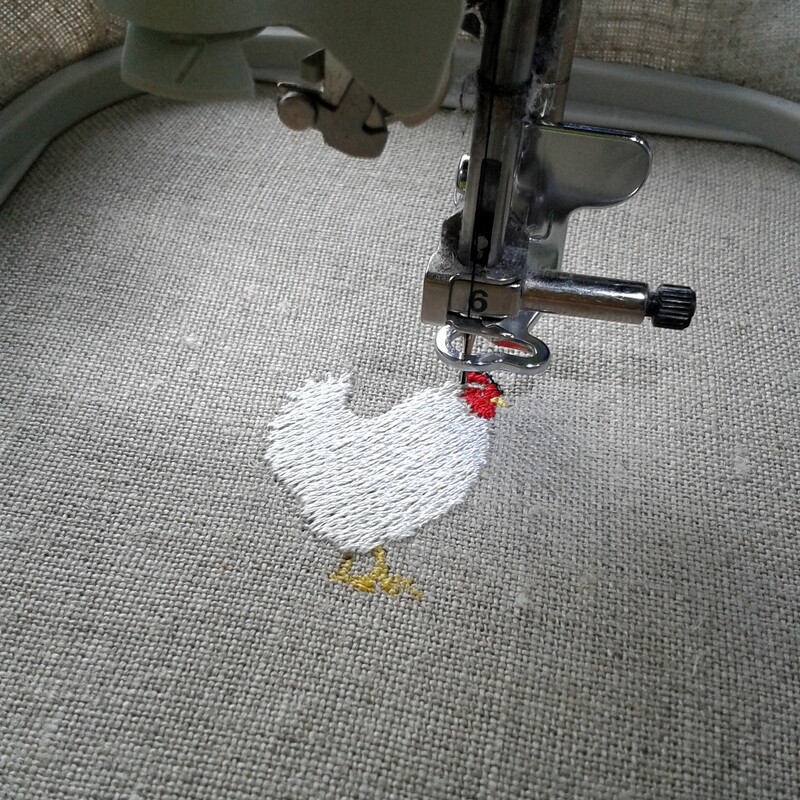 Categories: Behind the Scenes | Tags: chicken, cockerel, design, digital embroidery, digital embroidery machine, Egg Cosy, embroidered, embroidery, midlands, stitched, textiles | Permalink.